Fifty years ago, a single bullet robbed us of one of the world's most eloquent voices for human rights and justice. 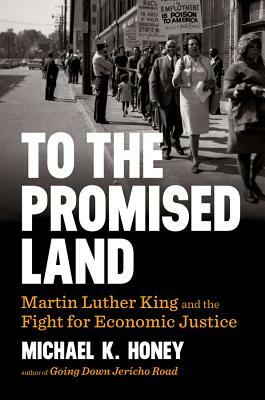 To the Promised Land goes beyond the iconic view of Martin Luther King Jr. as an advocate of racial harmony to explore his profound commitment to the poor and working class and his call for "nonviolent resistance" to all forms of oppression, including the economic injustice that "takes necessities from the masses to give luxuries to the classes." Phase one of King's agenda led to the Civil Rights and Voting Rights acts. But King also questioned what good it does a person to "eat at an integrated lunch counter if he doesn't earn enough money to buy a hamburger and a cup of coffee?" In phase two of his activism, King organized poor people and demonstrated for union rights while seeking a "moral revolution" to replace the self-seeking individualism of the rich with an overriding concern for the common good. "Either we go up together or we go down together," King cautioned, a message just as urgent in America today as then. To the Promised Land challenges us to think about what it would mean to truly fulfill King's legacy and move toward his vision of "the promised land" in our own time.